Painting your own Christmas card can be a lot of fun, so long as it turns out well! So in this week’s tip video I wanted to inspire you to have a go by showing you my process for painting this most Christmassy of plants, the poinsettia! Hint: don’t get tempted to paint those veins too early! 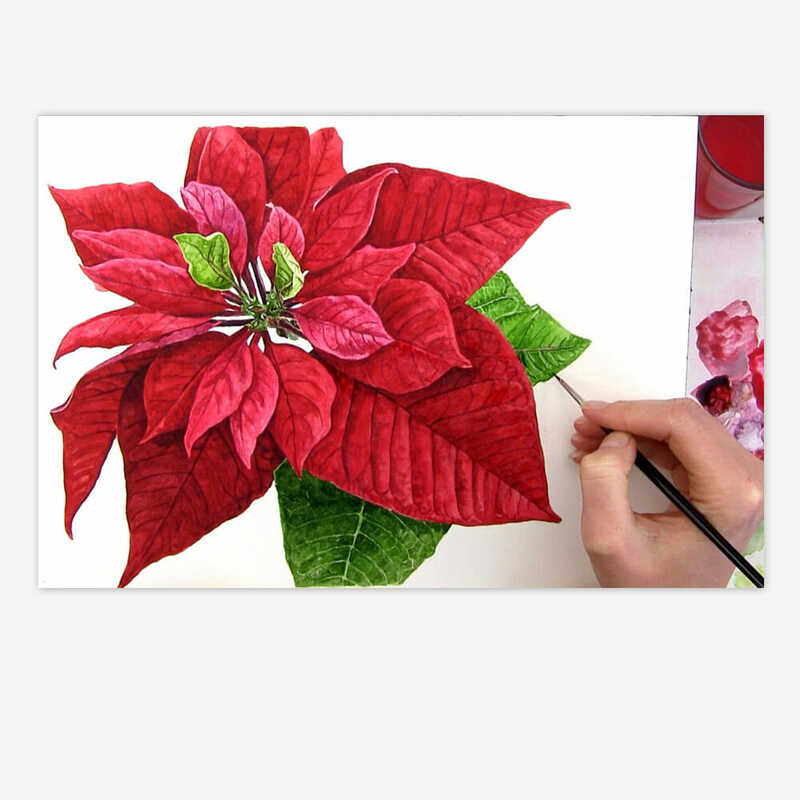 Have you painted a poinsettia, or made your own Christmas cards before? If so, how did they go? I’d love to hear. Hope this encourages you to get your paints out this weekend! Excellent tutorial for students as well as for professionals!! Beautiful painting and video tutorial is so very helpful. Am looking forward to painting the poinsettia. Thank you. This is a stunning flower, Anna. I may just have to sign up for another 6 months! Anna – I watch for your tutorials eagerly. 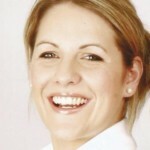 I love your work – your book – and your encouragement. This poinsettia is amazing – I’m passing ‘you’ around to my friends. Happy Friday! Oh, Anna, what a gorgeous poinsettia and video! I am so thrilled to have found you (after being told about you from a friend). Hugs! Hi Anna….I could not find the drawing for the poinsettia. Could you please send me the link. You have one of the best sites for watercolors. 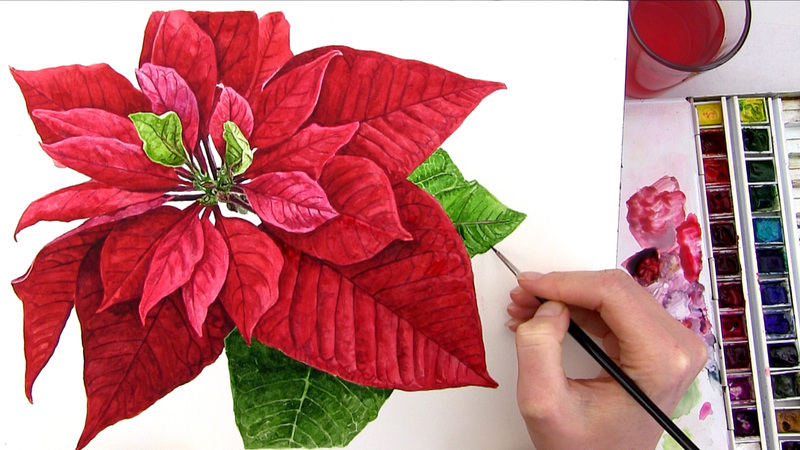 Hi Marie, you’ll need to be a member of Anna’s online School to have access to all of the drawings and full length tutorials including the Poinsettia, I’m afraid. You can find out more about her School on this page here. Hope this helps.